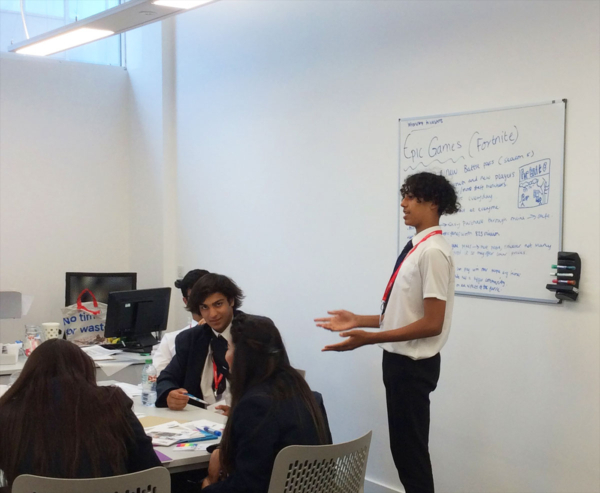 As part of the school’s commitment to showcase higher education and careers in Business, Year 10 Business Studies students were given the opportunity to take part in lectures and business activities. The Get into Business event took place on Thursday 12th July 2018 at The University of Law. It provided students with an opportunity to discover new and exciting careers that may not have previously entered their thoughts. They were able to learn about the range of Business courses on offer at the University of Law. TEMA students came first in both sets of presentations and were praised on their presentation skills and new business ideas. Well done Team TEMA! The interactive activities at the event gave the students a great chance to put into practice what they are learning during their GCSE Business course in school.